Bigger but lighter, the new Audi Q7 puts in a hugely impressive performance but it's not top of the SUV class. Is it a bit cheeky of Audi to charge so much money for a car that there's actually slightly less of than there used to be? I jest of course - the 325kg reduction in weight between the new Audi Q7 and the old is only to be welcomed, and it has obvious benefits in terms of fuel consumption and emissions - just look at the astoundingly low 153g/km emissions figure the Q7 can hit on its standard wheels and tyres. Standard is not really a word you associate with the Q7, nor any Audi for that matter. As ever with an Audi review, it's not long before we start to consider the options list and this one is a whopper. Our S line-spec test car, retailing at a shade over €89k came with an entire Fiesta's worth of options - €15k in total, bringing the final price to north of €100,000. Now, I know the recession is over and we're getting used to high prices for cars again, but €100k is still an utterly enormous amount of money to spend on one vehicle, so the Q7 has a lot of work to do to set about justifying its monster price tag. Well, in spite of the weight reduction there's no question that you do get a lot of car for your money. All the car, it seems at times. The Q7 is just gargantuan, and you really need to pay attention to the parking sensors and reversing camera when trying to wriggle in and out of tight spots. That's in spite of the fact that the cabin seems more airy and glassy than the tank-turret style of the old Q7 - certainly I think you can see better out of this one, which is much to be applauded. You won't want to look out much once you've seen the cabin though - God but it's just staggeringly well-made and expensively appointed. Every button feels weapons-grade, every display is in hi-def. Audi clearly reckons that you should spend more time in these wonderful surroundings than out in the real world, and I think it has a point. The instrument binnacle is fully digital and lifted from the TT coupé, so you can have a full-width satnav display if you like, plus all manner of other info and controls. There's a big infotainment screen in the centre console too, which sweeps noiselessly away into the dash when not needed and there can be found all manner of toys to play with, including the Drive Select programme that includes settings for off-roading as well as the usual Efficiency, Comfort and Dynamic modes. There's a built-in Wi-Fi hotspot (with speeds of up to 100Mbps! ), a multi-media connector (no Apple CarPlay yet though, sadly), an Audi Connect system that surfs the web for you and so, so much more. It's close to bewildering at times. Is there a downside? Yes - the overall layout of the cabin tends towards the messy, with a few too many buttons and displays to juggle at times, and information overload is never far away. We prefer the minimalist nature of the TT's cabin to be honest, not to mention the much more relaxing environment of the rival Volvo XC90. There is lots of space though and the front seats in particular are staggeringly comfy. With all-round excellent refinement there are few cars better for knocking off a long, long journey in, and rear seat passengers are almost equally well catered for. There is a full complement of Isofix child seat anchors in the back and that includes the fold away seats in the boot. These motor electrically up and down (which feels positively decadent to this parent...), but you will have to slide the middle row forward a little to make room for anyone in the third row, which seems like a needless compromise in a car this big. The boot's massive though. Keep the third row up and there's just enough space behind for a couple of big bags or a medium-sized grocery shopping trip. Fold them down (whirrrrr...) and you get 770 litres, and if that's not big enough for you, then you really need to cut down on the steamer trunks. With all seats down there's a cavernous 1,955 litres... litres... litres... litres... Does anyone hear an echo? Fire up the V6 TDI diesel 3.0-litre engine and it settles into a steady background hum with nary a hint of diesel clatter. Under acceleration there's merely a deep-chested whooshing noise, continuing the Q7's outstanding refinement. There is plenty of power, with 272hp being just the start of it. There's 630Nm of torque down there as well, although at first the Q7 feels far more languid than its brisk 0-100km/h time of 6.5 seconds suggests it will. Ah, the penny drops when you realise that the torque curve is actually quite peaky and full twist doesn't come on tap until you have 3,250rpm on the clock. Use the manual gearshift paddles and switch the Q7 into Dynamic mode and it really clips along at a quite astounding rate for such a big car. But, as James Doohan so frequently reminded us, you cannae change the laws of physics, captain. Some 2,060kg is not an excessive weight by any means for a car like this (in fact, it's surprisingly trim), but there's no getting away from the height or bulk, and that means that the Q7 is just not that much fun to hustle down a twisting road. In fact, it's a bit ponderous and very nose-heavy at times, even in Dynamic mode, and the steering never feels quite quick enough to give you full confidence to push it. Hardly the point of such a car I suppose, but then the Audi badge and S line trim do goad you in that direction. I also have a major issue with the styling. Now, the old Audi Q7 was never exactly an oil painting, but it had a kind of brutalist 1930s Auto-Union-streamliner-on-whey-protein look about it. The new Q7 has softened out the excessive visual aggression of the old one, but in the process has divested itself of almost all visual character. It's just big, boxy and not especially attractive. The new hexagonal Audi grille, picked out in chrome, just looks like an afterthought and there's nothing in the styling to have you gazing longingly back out of the lounge window when you've parked it on the drive. Spurious? Perhaps, but for €100k I want a car to make me want it anew every day - the XC90 does that, and so does the Range Rover Sport, but the Q7 just looks dull. Which makes it a tricky car to rate. There's no question that on an objective level, it sits right at the top of its class. 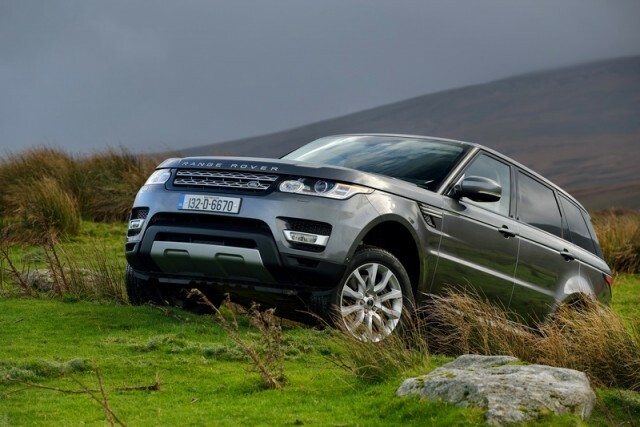 Even up against such talented rivals as the XC90, the Range Rover Sport and the BMW X5, the Q7's quality, refinement, engineering and technology are all from a drawer just slightly north of the normal top drawer. This is a mightily impressive car. Impressive, but not loveable. For all its technological prowess, it's just lacking a little in character for my taste. The rival Volvo is less well-endowed in many senses, technically, but is just so much more a likeable car, which may be a nebulous point when we're operating at this kind of cash level, but to me it makes all the difference. The Q7 is then a great car to drive, potentially a great car to own, but I suspect you'll never feel sad or sorry when it comes to trade-in time and that seems something of a shame. 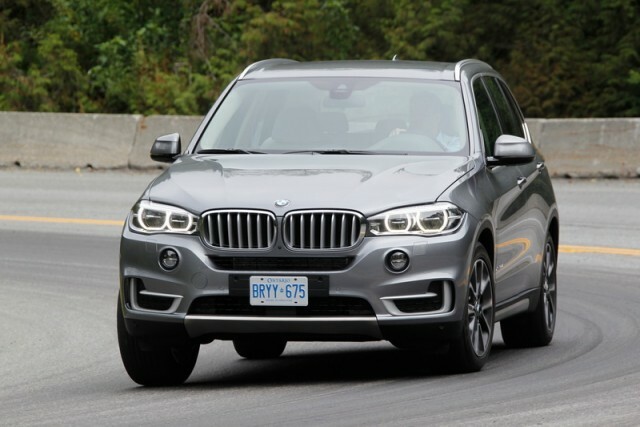 BMW X5 vs. Audi Q7: sharper to drive than the Q7, but can't match the interior for class nor space. Range Rover Sport vs. Audi Q7: gorgeous to look at, classy beyond belief and terrific to drive, but quality and cabin design lag well behind the Audi. 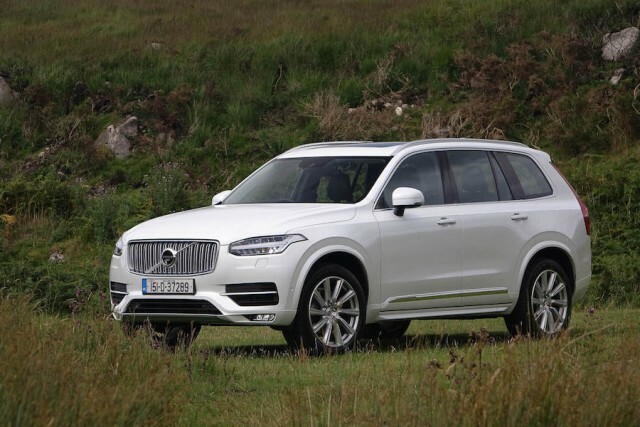 Volvo XC90 vs. Audi Q7: in many ways it's not technically as accomplished as the Q7 but it's more handsome inside and out and is by far the more desirable car to our minds.